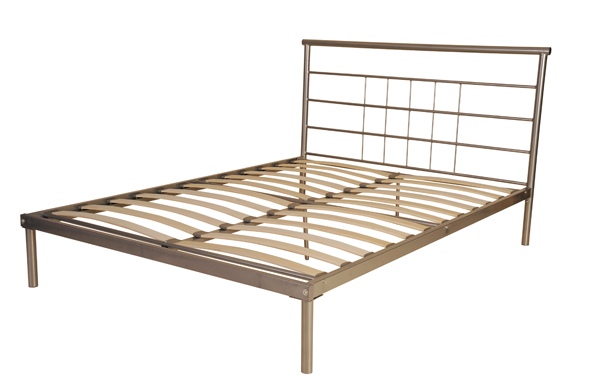 The Venus metal bed frame is built for durability, stability and comfort. With its simple sleek metal design, this frame offers a lot for its low price point. 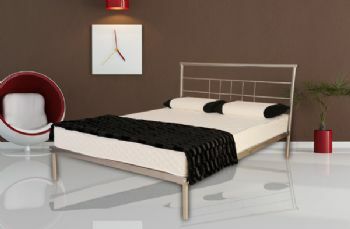 The Venus bed is secured with centre rails both length and width ways and is supported with centre support legs giving you a very sturdy bed to sleep on. This bed comes complete with sprung based slates. With added support legs and mutliple centre rails, this product is well built for its low price point. This bed has been styled to not have a low centre of gravity of which is common in our faux leather bed frames. With this in mind, there is plenty of space underneath of storage.